Social Media is a great way to engage with people who think like you do and may even want to do business with you. It’s very different to advertising though. You wouldn’t walk into your local pub wearing a sandwich board and a megaphone advertising your business would you? However, if you get chatting to people and they ask for your business card there is a decent chance that you might end up doing business together. Social Media is much the same. If you understand property in your area and you write about it then other people who are interested in property and your area are likely to follow your blog and to engage with you. They may also decide to do business with you if they like what you say. For example, a letting agent in Northampton might write about the properties he recently let, what the returns are like and some of the issues he’s managed to resolve on behalf of the landlords and tenants he works with. 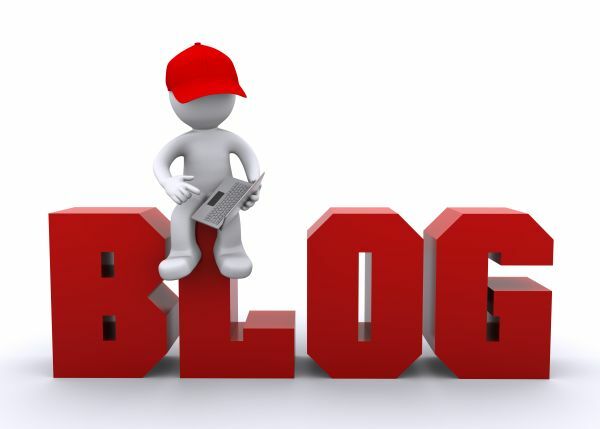 You could of course start your own blog but who would find it? That’s where blogging on Property118 makes sense. Everything here is about property! We have nearly 200,000 subscribers so you will never need to worry about whether people will read what you have to say. What’s more, we have made it very easy to use so you don’t have to understand computer programming. The best ways to make your blog interesting and to get engagement is to have a short, snappy, interest grabbing title and to ask question of your readers. Example title – “Huge Erection In neighbours back yard.” – you can see why people would read that can’t you? The blog could be about a dispute over the neighbours building a fence too high? When people leave comments on your blogs you will also receive an email notification. The starting point is to complete the form below. It needn’t cost you anything if you are not looking to get any business out of it. If you are looking for business then we also offer the online version of buying some business cards and helping you to distribute them, we call that business membership but we will tell you more about that when you’ve got started. You can use the plugin on pretty much any website. Whether you talk about property, sell it, rent it or advise people about it this Property Research Tool Plugin will look great on your website or blog. You can use the embed code in sidebars, posts or pages and it will create a Call To Action button just like the one below, sized just how you want it and the modal screen which runs the functionality of the Property Research Tool will even be branded with your URL. Check out what we’ve done with it and then grab the embed code for use on your own WordPress website or blog with our compliments. I first let to these tenants in 2003. They already had a daughter and later gave birth to a second. She was an accountant, I forget now what he did. They were model tenants but in 2008 I received a call to tell me that he’d left her for another woman. These things happen and as she had been such a wonderful tenant I had no issues whatsoever in granting a new tenancy in her name, no guarantor! Seriously, would you ask for a guarantor under these circumstances? Please leave a comment and remember to use the “sharing is Caring” buttons below. Earlier this week I wrote a Blog about my my Twitter account getting hacked. Changing the password fixed it. Since then spam attacks on Property118.com have increased 2000%. Fortunately, none of the attacks have penetrated our security at Property118.com but it has increased resource requirements for our moderators as they still need to read through the blocked comments.